Arifa is based in The Netherlands and blends ancient musical traditions from the Middle East and Balkans with jazz and contemporary improvised music through a Western frame of mind. Arifa's secret is the creative chemistry between its members. Coming from Romania, Turkey, the Netherlands and Germany their music is just as diverse as their origins, moving from traditional Turkish and Balkan sounds to jazz and classical music. 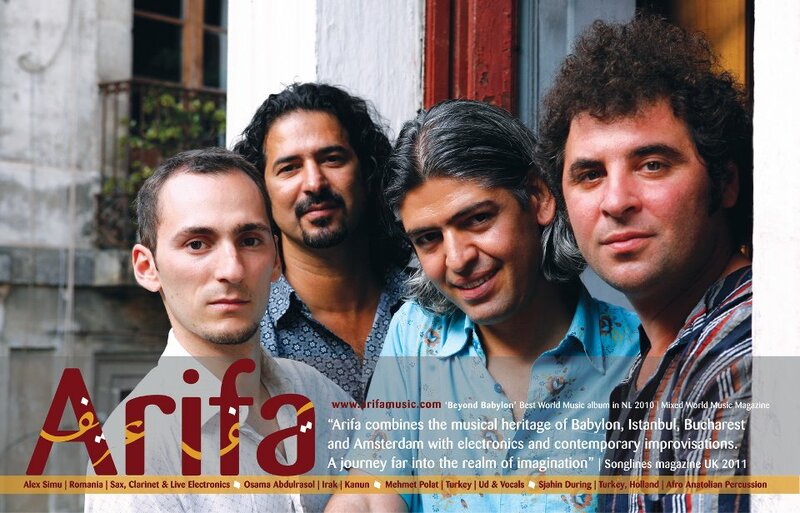 Arifa's members are Alex Simu (Romania), who plays clarinets, Franz von Chossy (Germany) who plays piano and Sjahin During (Turkey/Holland), who plays Afro Anatolian percussion.